Brad and I worked with both Dee and Cheyanne today. Dee may be an old girl but she is showing much promise. We believed paired with Twister, their baby will be awesome. 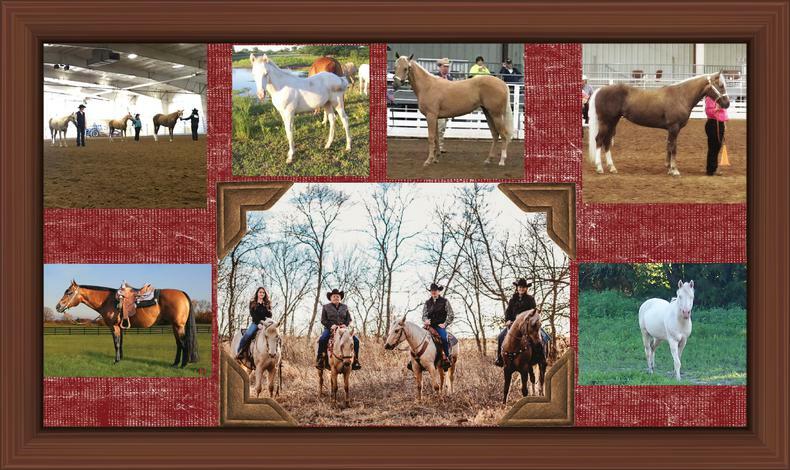 Cheyanne is a horse that we are putting some time on for our grand daughters Bailee and Brylee. Can not wait to deliver her to them, Cheyanne was a Christmas present from Brad and myself to the girls. I know they will love her. Shayne and Brad are doing some clean up around the place right now. Thats one thing there is never a lack of things to do around here. Our black and white mare Gracie is just coming in heat so we may breed her tonight. We will have to see how far along she is. It will be nice to have another beautiful baby like Twisted Sister. I hope you enjoy our website, I'll do my best to write something everyday. Cool i like too see how the horses are doing my cousin loved seeing your horses but now she misses them. Aww Brittney!! The horses are doing great, tell your cousin that they are so much happier down here!